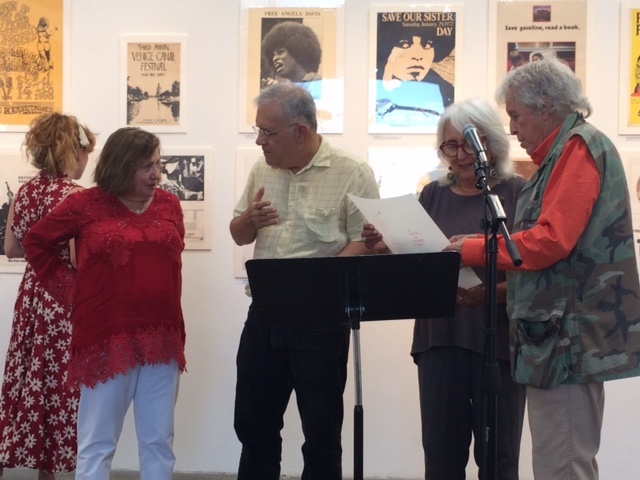 I was sitting at my desk this morning, reviewing some applications by writers who live outside of California for grants from the state they live in, and suddenly realized that I should double-check the date of the Peace Press poetry reading. I grabbed the catalogue for the art exhibition at the Arena One Gallery, and much to my surprise, the catalogue’s first page listed Saturday, June 10th, as the date of the reading. “Huh?” I thought. I was certain that the reading was on the 17th, but I’ve made mistakes about this kind of thing before, and so I quickly checked e-mails. According to every e-mail from Dinah Berland, the organizer of the reading, the date of this reading is Saturday, June 17th, a week from today. Her Facebook posting about this event also lists June 17. 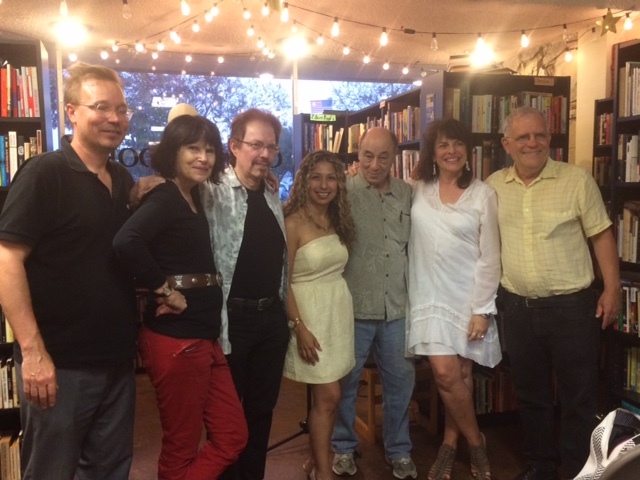 Readers: Dinah Berland, Michael C. Ford, Deborah Lott, Bill Mohr, Julia Stein, and Rhiannon McGavin. 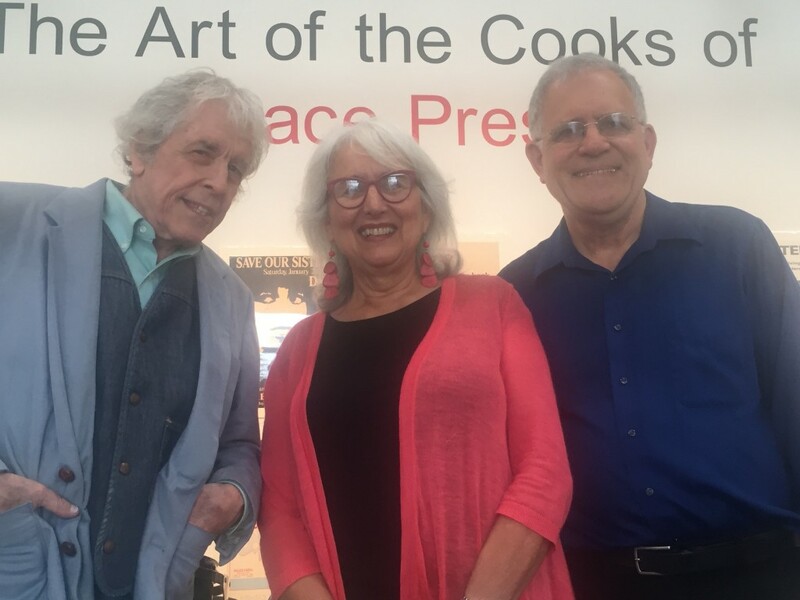 THE ART OF THE COOKS OF PEACE PRESS is sponsored by the Ash Grove Music Foundation, and is partially underwritten by the Irene B. Wolt Lifetime Trust, and Anonymous. 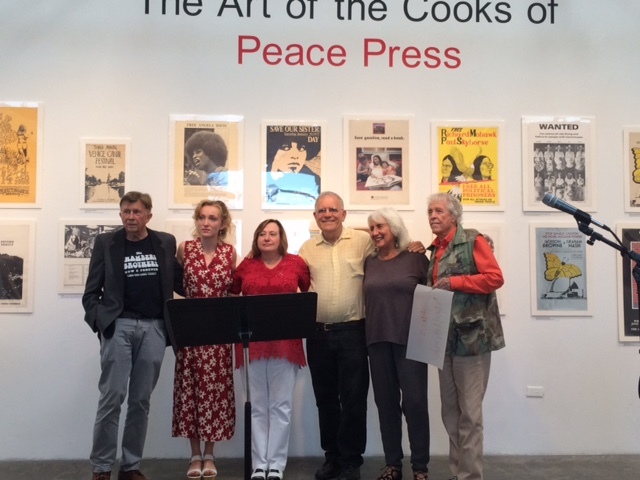 It should also be noted that this art exhibition came about in response to the multi-site exhibition project of the Getty Trust entitled “Pacific Standard Time.” According to the catalogue, “The Arts of the Cooks of Peace Press” was proposed too late in the organizational process of “PST” to be included in that project. Nevertheless, this exhibit demonstrates that the show continues to generate a legacy. I myself have been invited to be part of this poetry reading not as a poet whose book was printed by Peace Press, but because as the editor and publisher of Momentum Press, I chose Peace Press to be the printer for three of my most important titles: Holly Prado’s Feasts, James Krusoe’s Small Pianos, and Leland Hickman’s Tiresias I:9:B Great Slave Lake Suite. 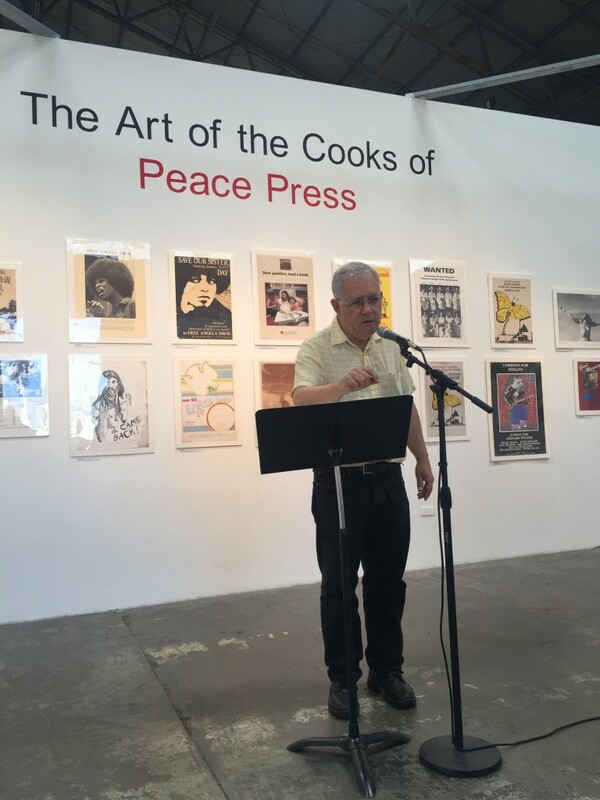 Jim Krusoe might well have been the person who pointed me toward Peace Press, since he had had a chapbook entitled Ju-Ju printed at Peace Press at least a year before I hauled the paste-up board for Feasts to Culver City with the help of my Suzuki Twin-500 motorcycle. 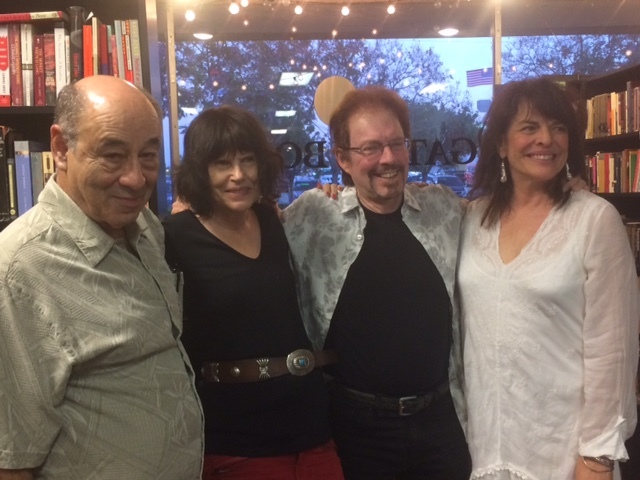 In the case of Holly’s book, I was a complete neophyte in terms of publishing, and without the reassuring assistance of the workers at Peace Press, especially Bob Zaugh and Bonnie Mettler, I never would have been able to bring out my first significant publication as an editor/publisher. As recounted in HOLDOUTS: The Los Angeles Poetry Renaissance 1948-1882, the typesetting portion of producing these books was done at NewComp Graphics at Beyond Baroque, and both books were done on machines that had no memory discs to expedite revisions. It was a process of keystroke by keystroke composition, and given that both books were not by any means a standard-format for prose or poetry, it was an arduous challenge to get both books to the printer. Given these struggles and my ambitions to make the work of these poets known beyond Los Angeles, it was very important to me that both of these books look as good as possible; and to this day, I read the books not just for the resonant music of the text, but for the way that the poetry on the page was printed by Peace Press with such sympathetic care as to make it completely absorbable.